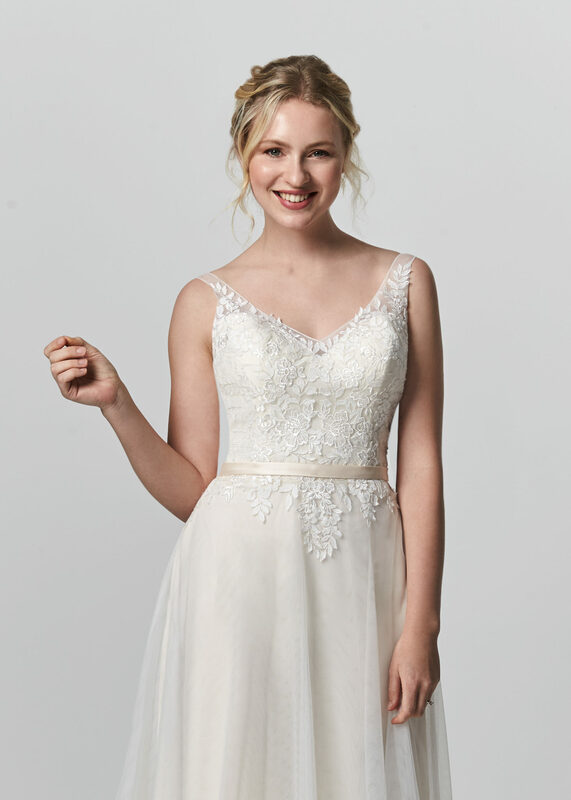 An elegant a line style with a sweetheart lace bodice, v neckline, lace illusion shoulder straps, a satin belt, lace motifs and finished with a lace illusion back. Photographed in Ivory / Almond / Silver. Available in Ivory / Almond / Silver or All Ivory / Silver. Zip back and buttons. 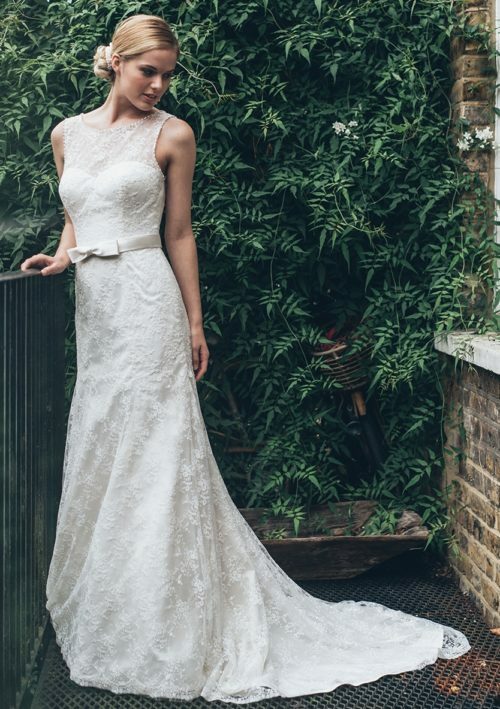 We love this vintage inspired gown, especially in the almond colour way. 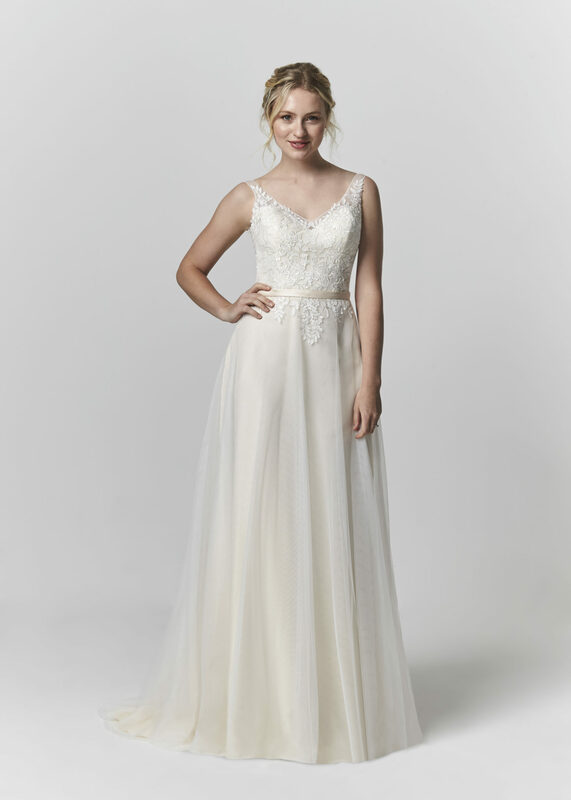 Glamorous, flattering and a timeless choice for your special day.